Last week, we published the filing of a civil rights lawsuit by parental advocate, Dr. Leon R. Koziol, on our website, Leon Koziol.com. As noted, it challenged First Amendment censorship and parenting deprivations inflicted by certain state judges, enforcement agents and disciplinary authorities, including retaliation for Koziol’s testimony before the Moreland Commission on Public Corruption at Pace University on September 17, 2013 (Constitution day). The new case raises similar claims made in a test case filed on February 26, 2009. It was dismissed in a 45 page decision by a federal judge three years ago. Commenced with the goal of converting the case into to a class action, the claims were ultimately left un-answered due to an abstention rule applied whenever state proceedings are pending. However, in a recent unanimous decision by the United States Supreme Court, lower federal courts were admonished for their abuses of Younger abstention beyond its narrow scope. 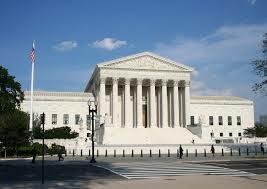 Meritorious civil rights cases were being wrongly dismissed all across America in recent decades. In addition, such dismissals were being abused to engage in further encroachments upon constitutional rights. In Koziol’s case, the 2011 dismissal was exploited by state agents to escalate their retributions for his valid criticisms and reform efforts concerning abusive and lucrative bench and bar practices in divorce and Family Court. In short, Mr. Koziol’s longstanding position against application of Younger abstention was proven correct. However, in order to rehabilitate the reputation damage caused by this dismissal, an excerpt from Koziol’s recently filed memorandum of law is attached. Many parents suffered a similar fate, and we had hoped to intervene for their benefit and assistance. Unfortunately resources were lacking, donations insufficient, and retributions so severe that we were forced to question our every move. The current action explains it all. Beginning with this post, we will be publishing a trilogy from the same memorandum to convince our followers how we were right all along. We are dedicating this trilogy to all parents abused by a system which is getting increasingly out of control.